Opole Voivodeship, or Opole Province (Polish: German: or Woiwodschaft Oppeln; Czech: ), is a Polish voivodeship, or province, created on January 1, 1999, out of the former Opole Voivodeship and parts of Cz?stochowa Voivodeship, pursuant to the Polish local government reforms adopted in 1998. The provinces name derives from that of the regions capital and largest city, Opole. It is part of Silesia, and the territorial successor of the former German Upper Silesia, which had the same city — then Oppeln — as its capital. Almost all of the present territory was part of Germany except for the two Gminas of Praszka and Rudniki. A relatively large German minority lives in the voivodeship, with representatives in the Sejm. Opole Voivodeship is bordered by Lower Silesian Voivodeship to the west, Greater Poland and ?ód? Voivodeships to the north, Silesian Voivodeship to the east, and the Czech Republic to the south. Opole Provinces geographic location, economic potential, and its populations level of education make it an attractive business partner for other Polish regions (especially Lower Silesian and Silesian Voivodeships) and for foreign investors. Formed in 1997, the Prad?d/Pradziad Euroregion has facilitated economic, cultural and tourist exchanges between the border areas of Poland and the Czech Republic. The voivodeship lies in southwestern Poland, the major part on the Silesian Lowland (). To the east, the region touches upon the Silesian Upland (Silesian Uplands, ) with the famous Saint Anne Mountain; the Sudetes range, the Opawskie Mountains, lies to the southwest. The Oder River cuts across the middle of the voivodeship. The northern part of the voivodeship, along the Ma?a Panew River, is densely forested, while the southern part consists of arable land. Until 1945 virtually all of the present Polish voivodeship was part of the Prussian province of "Upper Silesia". The two Gminas of Praszka and Rudniki were already part of Poland in 1939, and were previously part of Russian Congress Poland until 1918. After World War II Silesia was annexed by Poland as a result of the Allied Powers agreement on the realignment of Eastern European states that had been reached at the Yalta Conference (February 1945). The Opole region was originally merged with the pre-existing Polish Silesian Voivodeship, until in 1950 it regained its status as a region, thanks to a reform of Polish regions. The towns of Brzeg and Namys?ów were later transferred to Opole from the neighbouring Lower Silesian Voivodeship. As the result of a third regional shake-up in 1975 the voivodeship was broken up and Racibórz was transferred to the new Katowice Voivodeship while a part of Olesno was given up to the Cz?stochowa Voivodeship. 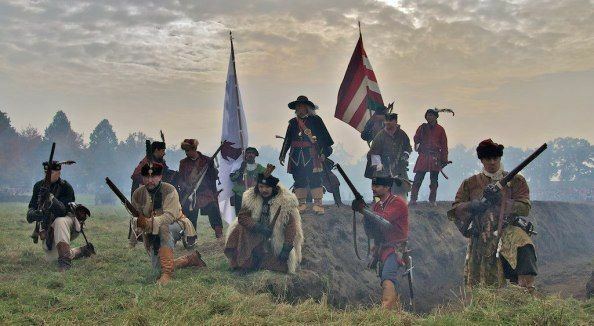 Finally, as the result of a 1999 land reform; the objective of which was to restore the historical voivodeships of Poland, the Opole Voivodeship as we know it today came into being. Originally, the government, advised by prominent historians, had wanted to disestablish Opolskie and partition its territory between the more historically Polish regions of Lower Silesia and Silesia. The plan was that Brzeg and Namys?ów, as the Western part of the region, were to be transferred to Lower Silesia, while the rest was to become, along with a part of the Cz?stochowa Voivodeship, an integral part of the new Silesian region. However, the plans resulted in an outcry from the German minority population of Opolskie, who feared that should their region be abolished, they would lose all hope of regional representation (in the proposed Silesian Region, they would have formed a very small minority among a great number of ethnic Poles). To the surprise of many of the ethnic Germans in Opole however, the local Polish Silesian population and groups of ethnic Poles also rose up to oppose the planned reforms; this came about as a result of an overwhelming feeling of attachment to the voivodeships that were scheduled to be redrawn, as well as a fear of alienation should one find themselves residing in a new, unfamiliar region. The solution came in late 1999, when Olesno was, after 24 years apart, finally reunited with the Opole Voivodeship to form the new legally defined region. 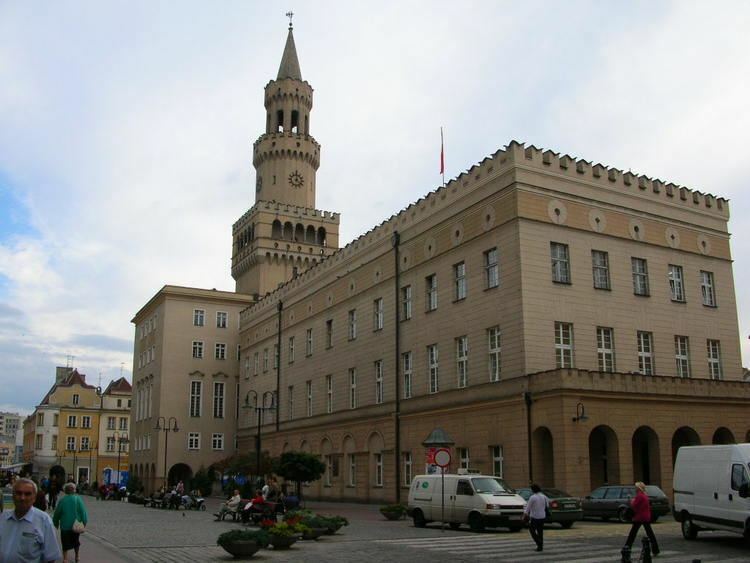 A historic moment came in 2006 when the town of Rad?ów changed its local laws to make German, alongside Polish, the districts second official language; thus becoming the first town in the region to achieve such a feat. The Opole voivodeship is a green region with three large lakes: Turawskie, Nyskie, and Otmuchowskie (the latter two are connected). The Opawskie Mountains are extremely popular. 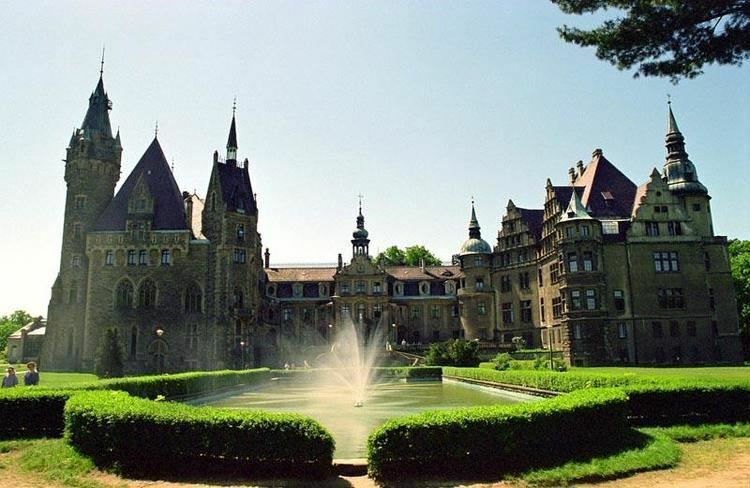 The region also includes the castle in Brzeg, built during the reign of the Piast dynasty—pearl of the Silesian Renaissance, the Franciscan monastery on top of Saint Anne Mountain, as well as the medieval defence fortifications in Paczkow (referred to as the Polish Carcassonne). The region has the warmest climate in the country. The Opole voivodeship is an industrial as well as an agricultural region. With respect to mineral resources, of major importance are deposits of raw materials for building: limestone (Strzelce Opolskie), marl (near Opole), marble, and basalt. The favourable climate, fertile soils, and high farming culture contribute to the development of agriculture, which is among the most productive in the country.